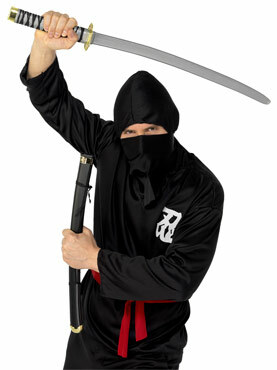 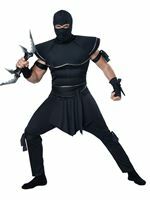 Become a Deadly Stealthy Ninja at your Next Around the World Themed Party with our Adult Black Ninja Costume. 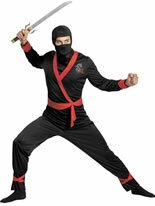 Lurk in the Shadows and Ensure you are always Hidden with our Adult Black Japanese Ninja Costume. 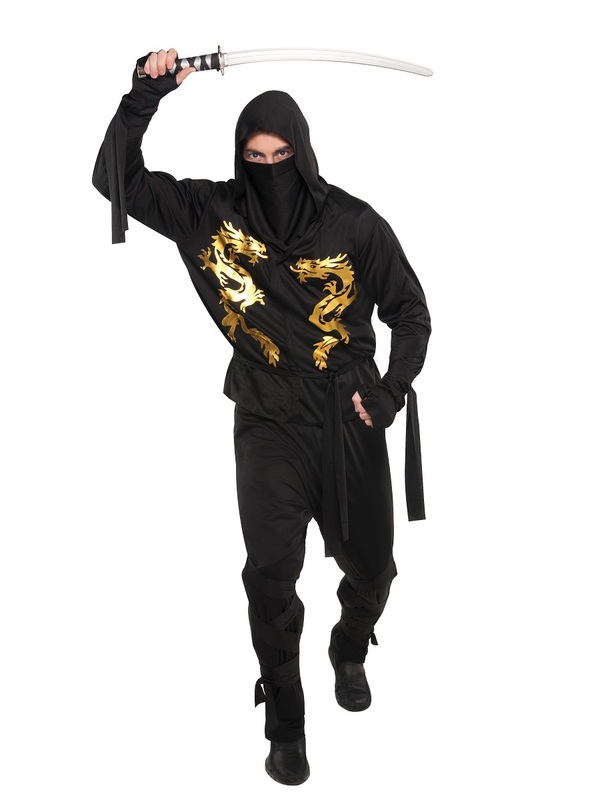 Our Tough Adult Black Dragon Ninja Outfit features a Comfortable Black Tunic with an attached Hood and 2 Fierce Golden Dragons Printed on either side of the Chest. Completing the Costume is a Pair of Matching Black Elasticated Trousers. 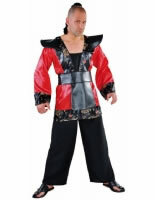 Standard (M/L) 42" - 46" 32" - 36" 28"
Plus Size (L/XL) 50" - 54" 40" - 44" 29"